At the end of June at the Ipic Theater in Los Angeles, Concrete Dream Film Festival https://concretedreamfilmfestival.wordpress.com/ presented the world premiere of “A Mini Movie,” co-hosted with actress/model Eugenia Kuzmina. The event featured official selections that screened as part of Le Marché du Film during the 2018 Cannes Film Festival. “A Mini Movie” featured a collection of shorts featuring interviews with celebrities on various topics, with titles “Love Doubled” (lovedoubled.com); “Yes or No Yin Yang” (yesnoyinyang.com); “15 Seconds of Fame” (www.FifteenSecondsFame.com); “My Dog Expressions” (mydogexpressions.com) and “Sequel” (sequeloflife.com). A special awards ceremony honoring recipients Eugenia Kuzmina, Concrete Dream Film Festival creative director Clinton H. Wallace, Suzan Hughes, Joyce Chow, Gloria Kisel, and others, followed the screening. 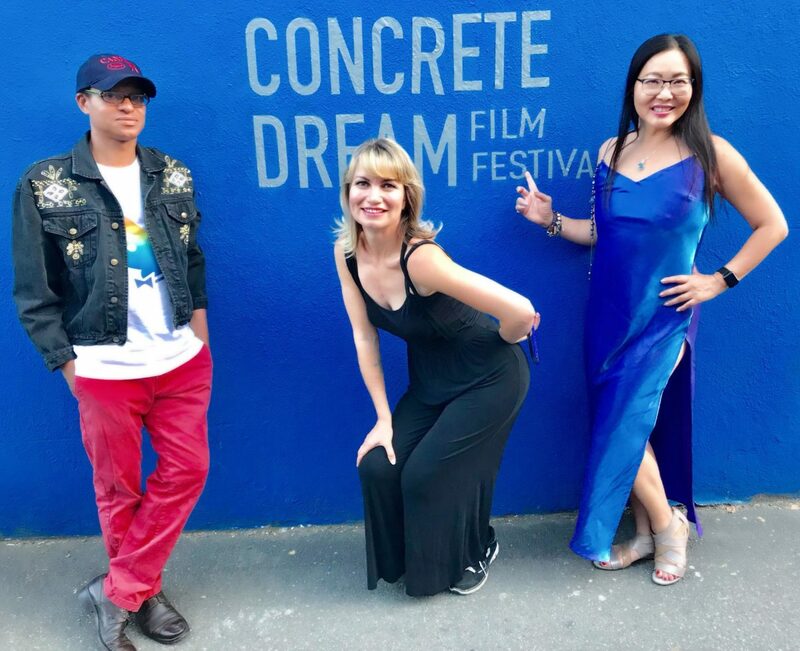 Dedicated to changing the movie industry “one art film at a time,” Concrete Dream Film Festival opened on June 10 at AC Gallery in Hollywood, California. The festival was cataloged in a limited edition hardcover book, created by festival founder Rena Riffel and Clinton H. Wallace. The festival presented the most inspiring and innovative works from film artists from around the globe.